Information: Roza Eskenazi (~1902-1980), musician, singer, song-writer, and lyricist. Rosa was born in Constantinople to a Sephardic Jewish family and moved to Thessalonike about 1909. Her father was Avraam Skinazis, an İstanbul money changer. 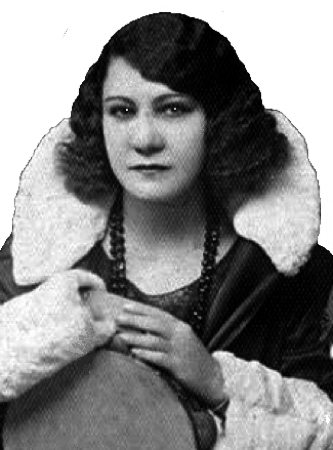 In the early 1920s Roza moved to Athens and began dancing at an Athens theater at about 15, against the wishes of her family. She was discovered by Tountas, who arranged the first recording in 1930 with Semsis (Salonikios, violinist and director of HMV). Rosa wa married and had one child. She was important in the development of modern Greek rembetika. She quit recording by the late 1950s with a small revival in the 1970s. Auta pou thimamai (Athens: Odysseas Hatzopoulos, 1982). Roza Eskenazi, Rembetissa (Rounder CD 1080).